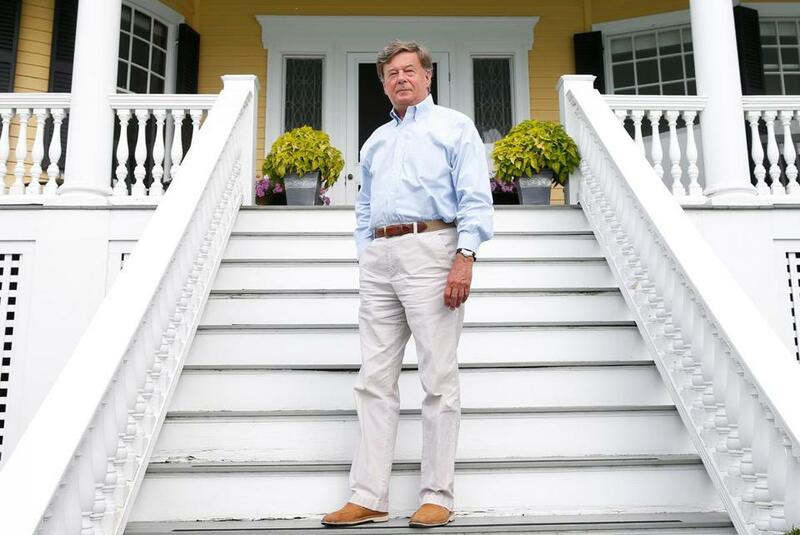 Retired Genzyme chief executive Henri Termeer posed for a portrait at his office in Marblehead. CAMBRIDGE — They command battalions of biotechnology workers from Kendall Square to Seattle to Stockholm. They lean on each other for business advice while poaching one another’s researchers. And they share a pedigree that is pure gold in the life sciences world. Dubbing themselves the “Genzyme diaspora,” this elite club of former colleagues at the pioneering biotech company scattered as Genzyme and the industry matured and changed — many after French drug giant Sanofi acquired the firm in 2011. They are now perched as CEOs at about two dozen smaller companies. Alzheimer’s, blood and breast cancers, kidney and gastrointestinal diseases, and rare genetic disorders such as cystic fibrosis and Duchenne muscular dystrophy. They bump into one another at industry gatherings, alumni reunions, and the Starbucks on the corner of Ames Street and Broadway in this biotech hub. 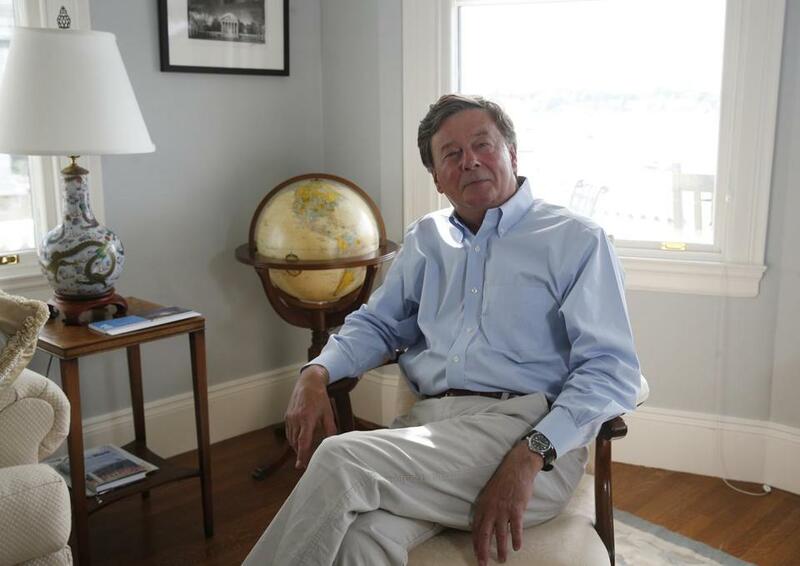 When they aren’t swapping phone calls or e-mails, they may be paying a visit to Henri Termeer — the retired Genzyme chief who groomed scores of rising stars — at his home office overlooking Marblehead Harbor. Other business sectors have also been reinvigorated by the dispersion of talent from iconic companies, said Gary Pisano, a Harvard Business School professor. Digital Equipment Corp., a once-dominant, now-defunct minicomputer firm, seeded high-tech startups with executives in the Boston area. And the defection of key engineers from Shockley Semiconductor Laboratory, the Mountain View, Calif., fountain of early innovation in transistors, spawned several dynamic computer chip companies, helping to fuel the rise of Silicon Valley. “Companies with strong corporate cultures have collective shared experiences that their alums will try to preserve,” Pisano said. “If a company gets acquired, someone else will own its financial capital. But its human capital will get recycled.” That’s a healthy thing, Pisano said, helping regional economies replenish their business rosters and remain on the cutting edge. But even among biotech companies viewed as bountiful sources of talent — Genentech Inc., Millennium Pharmaceuticals Inc., Genetics Institute Inc. — Genzyme stands out. What made the company special? In the formative years of biotechnology, Genzyme was the industry’s Apple, blazing a pathway for creating protein-based treatments for rare diseases. Executives in the diaspora say the Dutch-born Termeer, who joined as president in 1983, two years after its founding, was unparalleled in his ability to identify, nurture, and value talent. As he built Boston’s highest profile and most diversified biotech firm, he created an entrepreneurial culture — dispatching young executives to jump on new product opportunities — that his managers have worked to replicate elsewhere. Many of the Genzyme alumni consciously imitate their mentor. Like Termeer, they prefer to eat in the cafeteria with their employees rather than cocoon themselves in corner offices. They invite patients to tour their labs, host end-of-week beer bashes, and constantly hunt for new talent. A few of them describe their influential network in more colorful terms. “Some of us call it the Genzyme mafia because we’ve infiltrated so many corners of biotech,” joked CoLucid Pharmaceuticals chief executive Tom Mathers. Genzyme’s burgeoning alumni corps has been working in overdrive this spring. Alum Jeff Albers steered his Cambridge startup, Blueprint Medicines Corp., through an initial public offering in April. Ex-Genzymer James McGorry was chosen to lead Harvard Apparatus Regenerative Technology in Holliston last month after a corporate spinout, while former Genzyme exec Ed Kaye was tapped to steady the ship at Sarepta Therapeutics Inc. in late March after that Cambridge company fired its CEO. Genzyme-trained Greg Madison, who took last year over as CEO of New York’s Keryx Biopharmaceuticals Inc., uncorked plans in May to move the company to Boston’s Seaport District. 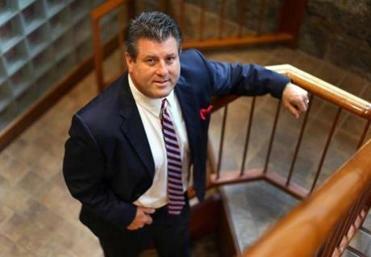 He also snatched a chief medical officer, John Neylan, from Genzyme itself. And when Connecticut’s Alexion Pharmaceuticals Inc. went shopping for an acquisition to boost its rare diseases therapy business, it settled in May on a Lexington firm, Synageva BioPharma Corp., run by ex-Genzyme executive Sanj Patel, who negotiated an $8.4 billion purchase price. After decades of developing drugs to treat multiple ailments, notably rare enzyme deficiencies such as Gaucher and Fabry diseases, Genzyme was tripped up by manufacturing problems in 2009. Its shares fell into the hands of activist investors who agitated for a sale. It was ultimately snapped up by Sanofi in a $20.1 billion deal that triggered an exodus of executives. Termeer left shortly after the deal closed. Now, in addition to the CEOs in the Boston area and beyond, many other Genzyme alumni work as senior-level executives, venture capitalists on both sides of the Atlantic, or even industry regulators. Employees at Lyric Pharmaceuticals Inc. in South San Francisco, Calif., Amicus Therapeutics Inc. in Cranbury, N.J., and NanoString Technologies Inc. in Seattle all report to chief executives with Genzyme backgrounds. And at a recent meeting of a biotechnology council in Dubai, all but one of the half-dozen executives present hailed from Genzyme. Many in the Boston area bemoaned Genzyme’s loss of independence when it was purchased by Sanofi. But the post-acquisition exit of seasoned executives has helped populate smaller firms and fuel the growth of biopharmaceutical clusters on both US coasts. Paula Soteropoulos, now chief executive of Akcea Therapeutics Inc. in Cambridge, was given the opportunity at Genzyme to learn about many aspects of the business. Maderis, who moved to San Francisco after leaving Genzyme, hosts an alumni party at her Telegraph Hill home every January during the J.P. Morgan Healthcare Conference, the biotech industry’s top investment event. Her party sometimes draws up to 100 people. “It started informally, with everybody there to catch up, and it’s taken on a life of its own,” she said. The list of alumni in leadership posts notably includes Genzyme’s current president, David Meeker, a Termeer protege. His promotion after the Sanofi takeover and Termeer’s retirement was a departure from the typical scenario of acquirers installing their own executive. It was also a clear signal to Genzyme and the broader industry that the new owner prized and would seek to preserve Genzyme’s culture of science and innovation as well as its patient focus. “They recognized Genzyme as a powerful model,” Meeker said. The division, which retains its name, continues to be one of the fastest-growing of Sanofi’s global businesses. Termeer, who was long one of the industry’s most recognized leaders, built Genzyme from a startup into a global company with more than 12,000 employees at its peak. He built a business around developing drugs — some priced at hundreds of thousands of dollars annually — for people with rare diseases that previously had no treatments. He and others now say his most important legacy may be not only the patients he helped at Genzyme but his proteges who are developing therapies for many more diseases. Paula Soteropoulos, chief executive of Akcea Therapeutics Inc. in Cambridge, started out designing bioreactors, the stainless steel tanks where biotech drugs are produced. She said she was given the opportunity at Genzyme to learn about other aspects of the business, such as finance and product development, by running a business unit. Unlike other companies, where managers are often pigeonholed into a single discipline, “the notion of a general manager was very important at Genzyme,” Soteropoulos recalled. CoLucid preserves the Termeer legacy in yet another way. Mathers fondly remembers Genzyme’s beer-stocked refrigerators that would be padlocked until 3 p.m. on Fridays. Then Termeer would join the company’s rank and file at happy hours that featured cold lagers, 8-foot submarine sandwiches, and table tennis. “The thing that got into their DNA is the fact that you can change the world,” Termeer said of his former employees.